Oooh! Another Blue Nile fan! I didn’t think there were many of us out there! He’s just got such a gorgeous voice that works so well with their music. Now I am sad–both that no one else seems to like The Blue Nile, and that I seem unable to express myself coherently today. Wow, *two* more Blue Nile fans! You’re the first two I’ve found in over fifteen years, since I was introduced to the music by my ex way back when. Hats is my favorite album. 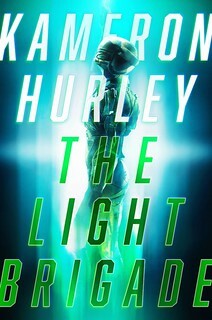 No, you’re not the only BN fans, and I’m aware of at least one other sf writer who falls into the same category. I love Blue Nile. I have to admit your musical tastes are quite excellent. How do you feel about (or have you heard of) Prefab Sprout? $6.93 isn’t cheap for a downloaded album. $6.93 isn’t even cheap for a CD you can buy. Make it $2.50, and I might start thinking about dipping my toes in. Thanks for this post. The Blue Nile is one of my all-time favorites. The melancholy crooning of Paul Buchanan gets me every time. I’m a sucker for Downtown Lights. I hear that and I drift off to a place I’ve never been, but always wanted to visit. Time to pull out my BN albums and play them all, straight through. Sorry, folks, but *Hats* just wasn’t as good or inspiring as *A Walk Across the Rooftops*. Didn’t bother with anything they did subsequently. Prefab Sprout?! What’s next, a serious discussion of the merits of Deacon Blue?!? For my part, I was there, and if I ever need to ‘go back’ it is The Blue Nile that I travel to get there and Deacon Blue I consult when I get there. Music of both place and time. And with all due respect to Mr Banks, Guise, if ‘all that can be said about Scottish music’ is contained within one book there is no hope left for the English language. $6.93 isn’t cheap for a download album? Sounds pretty reasonable to me, even with the modicum of tax I think I have to pay since I live not too far from the brick hospital turned Amazon office building on the hillside above I-90. I did find that the Russians will sell me Peace at Last for $0.90 though. 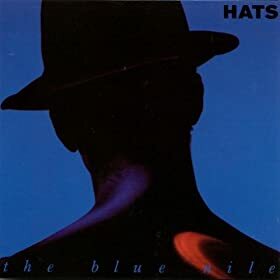 The Blue Nile are fantastic, Hats is good, but “A Walk Across the Rooftops” is a masterpiece. 2004’s “High” is an often overlooked classic too. Don’t forget Aztec Camera (or Roddy Frame in his solo incarnations). Blue Nile, Aztec Camera, Prefab Sprout, etc, were mocked in Glasgow as “wanky student music” – but I liked it. Hey, here’s a better deal for you. These albums are old enough for my local library to have Hats and Rooftops, so I can listen to them for free. The Blue Nile is a really good Ethiopian restaurant in Ann Arbor by the way. Hope it’s still open anyway. I’m still a bigger fan of A Walk Across The Rooftops. I’d play it for my friends when it came out in ’84. ALl those guys who were into Rush, Van Halen and free jazz would just bug out. A sublime work, that album. Uh-huh. I don’t really have any doubt that if it were priced at $2.50, you’d find some way of arguing that it’s too expensive then, too. $7 for an album of work is a perfectly reasonable price, here in the US, for an album one has not purchased before. You’re just silly cheap, is all. That said, I see no problem borrowing it from the library if it’s on offer, or buying it from the Russians at 90 cents if you bought it before in the store in an obsolete medium, and want it in electronic form. 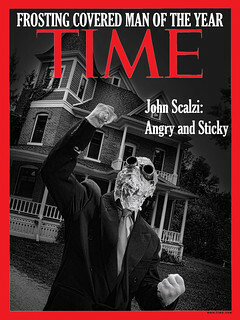 Curse you, Scalzi. The Blue Nile “Hats” and Deacon Blue “Fellow Hoodlums” are two of my perpetual winners in Best Album You’ve Never Heard Of contests, and now you’re spoiling it. WOOOO! I absolutely love the Blue Nile. My husband ran a TBN fansite wayyyyy back in 1995 and we got an advance copy of Peace at Last to enjoy and review. When they played the Fillmore in SF in 1996 (which is quite possibly the worst venue, ever) we had a nice chat with them and Paul is indeed as lovely and wonderful as you’d expect. In fact, my husband was such a fanatic back in the day (1990? ), he saw TBN in SF (at the Great American Music Hall) and then drove 500 miles to see them in LA at UCLA. Our first dance at our wedding was “Saturday Night”. We even went to Scotland for part of our honeymoon, and Glasgow in particular, for the same reasons you went :) So, yeah, big ole TBN fandorks. It’s so nice to see some Blue Nile love out there. An early holiday gift! Y’know, John, it seems like 90% of the time that you put up one of these “here’s another of my favorite albums/songs/artists” posts about some semi-obscure band that most mainstream music listeners haven’t heard of, it’s for some artist that I already know and have liked since they first started releasing music. I mean, it’s cool and all to find other people who like the same semi-obscure music you like, but it’s not exactly broadening. One of us needs to obtain some different tastes in early 90’s alt-rock or something. Hey, I was at that concert! The one in LA. I drove up from San Diego for it. I only got to see them the once in 1996; I’d like to see them in a much more civilized venue. With Elisabeth Fraser! Hugh, apparently I love “wanky student music”. Where can I get more? People here may already have seen some of these videos, but can I just point to some TBN/Paul Buchanan Youtube goodness? Specifically the wonderful new song (as yet unreleased) Meanwhile, a final encore of Strangers in the Night, and something seasonal. @23 = Graham, thank you for that link to Silent Night – hadn’t seen that before. It’s really weird seeing bands that I assumed were basically local heros like TBN, Deacon Blue etc be liked by people who lived so many thousands of miles away. I hope you found Glasgow to your liking John. Even though I haven’t lived there for years it’s still very close to my heart. A few years ago, we bought the “Six Feet Under” soundtrack, and eventually “Let’s Go Out Tonight” worked it way into my brain. With a little research, I “discovered” TBN. I’m a big fan now.